Provides a one stop shop for all your custom-made oligonucleotides needs. 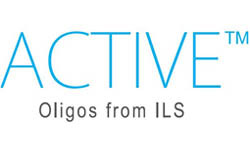 We at ACTIVE Oligo's are committed towards providing Fast, Efficient & High Quality Oligonucleotides synthesized in high quality labs with dedicated clean rooms, equipments, purification columns and raw materials. Oligo Card is a simple and easy solution to streamlining the purchasing process. Every Oligo is deprotected and desalted to remove small molecules impurities.